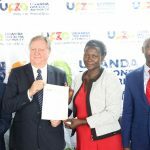 Uganda Free Zones Authority (UFZA) and Uganda Revenue Authority (URA) recently signed a Memorandum of Understanding at the URA Head Office in Nakawa, Kampala. The Executive Director of UFZA, Richard Jabo and Commissioner General of URA, Doris Akol acknowledged that the two Authorities shall play a complementary role in improving the Business environment for investors wishing to invest in Free Zones in Uganda. 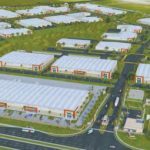 UFZA is mandated to develop, manage, market, maintain, supervise and control Free Zones in Uganda. Free Zones are designated areas where goods introduced and produced are generally regarded as being outside the Customs territory, in so far as import and export duties are concerned. In essence, they are customs-controlled areas. 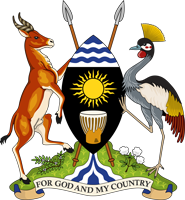 URA is responsible for supervising and controlling Customs-related activities within Free Zones in Uganda and issuing Certificates for Customs Supervision in the Zones as stipulated under the Free Zones Act, 2014. Offer technical assistance to UFZA in the development of cargo and warehouse management systems. Notify the Commissioner General in advance, of any industrial, commercial or service activity authorized by the Developer or Operator of a Free Zone; among others. Ensure that no retail trade shall be carried out in a Free Zone without the permission of the Commissioner General.